o specific products requires a wide range of expertise. It’s for this reason that the Italian manufacturer Comau places its trust in encoder solutions with EnDat-2.2 interfaces from HEIDENHAIN for its new robot control and 3-D laser system. As a result, users now have the handiest control currently available on the market and a high-precision, dynamic laser system for mid- to large-size robots. Comau Robotics & Service, a subsidiary of the Comau Group, develops and produces robot cells for welding, handling and palletizing in addition to several other products. 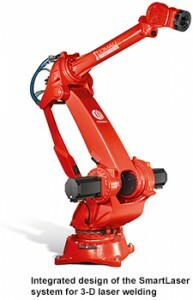 These robots are used in a wide diversity of industrial applications, and technologically superior solutions are needed to set themselves apart from the wide spectrum of other robot manufacturers. As a consequence, HEIDENHAIN encoders equipped with the bidirectional EnDat 2.2 interface are used on the new C5G robot controls and 3D SmartLaser laser welding systems. 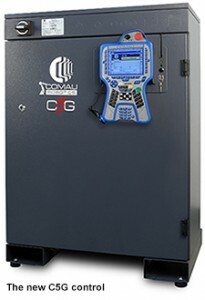 The new C5G control has been completely reworked from its previous design, and upgrading to a new generation of inverters meant that the encoders had to be re-specified as well. A further reason was that previously used encoders not always fulfilled expectations in terms of reliability. The new C5G robot control brings together the expertise of three companies: Software developed by Comau for controlling the robot axes and technological processes, position encoders with EnDat 2.2 digital interfaces from HEIDENHAIN, and the B&R hardware platform. The result is a product with extremely high innovation. With its compact design, the C5G is currently thehandiest robot control for mid- to large-sized robots, and compared to the previous model has improved performance,higher processing power, superior reliability and reduced energy consumption. serial signals has proved to be the ideal solution for this application. 262,144 positions per revolution (18 bit) can be measured with the ECI 1118 absolute single turn rotary encoder, and this high resolution guarantees controllability of the drive system at all speeds. Oscillations in control loops are also reduced to a minimum. Thanks to its modular design with no ball bearings, coupling or transmission, the encoder has a very short construction length of only 12.3 mm with an outer housing diameter of just 36.83 mm. Singleturn scanning without additional mechanical components also improves resistance to shock and vibration loads. As a result, the low-noise rotary encoder is predestined for use in highly dynamic, compact servo motors for automation technology and industrial robots. 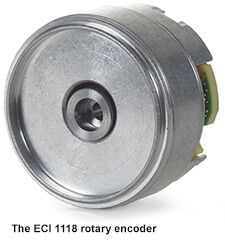 The ECI 1118 rotary encoder is equipped with the EnDat 2.2 digital interface. This purely serial interface permits fast and secure data transmission at clock-pulse rates of up to 8 MHz for high drive dynamics, even in environments with potentially high electromagnetic interference potential. The scanning signals are digitalized directly in the scanning head and calculate a position value with high resolution that is transmitted synchronously to the clock signal set by the subsequent electronics. In addition to the position value, the signal also provides supplementary information (temperature specifications and performance reserves for example) and enables monitoring and online diagnosis of the encoder. With a greater voltage range of 3.6 V to 14 V, there are also no problems caused by voltage drops in longer cables. A further benefit of the digital EnDat 2.2 interface is that evaluation numbers can be called during drive operation without sacrifices to the performance of the control. The diagnostic system generates error messages and warnings and therefore makes an important contribution to ensuring the availability of the overall system. To round off its portfolio, Comau Robotics & Service has also completely upgraded its 3D SmartLaser laser welding system, equipping these with HEIDENHAIN encoders. The patented system consists of a laser source with focusing module that is set completely without robot motion, achieving a laser welding system uniting the agility of a robot with the outstanding performance of extremely precise laser technology, while being controlled merely by the C5G. The 3-D laser system also features very good dynamic characteristics over its complete range of operation. Positioning the system is via a linear motor that can be accelerated up to 8 g, and repositioning the Z axis is therefore 10 times quicker than with standard robots, which in turn achieves extremely low cycle times (only 11 s for welding a vehicle door for example). The laser beam is deflected (in X and Y) by positioning lenses and reflectors, and these are operated via direct drives with speeds in excess of 1000 m/min. 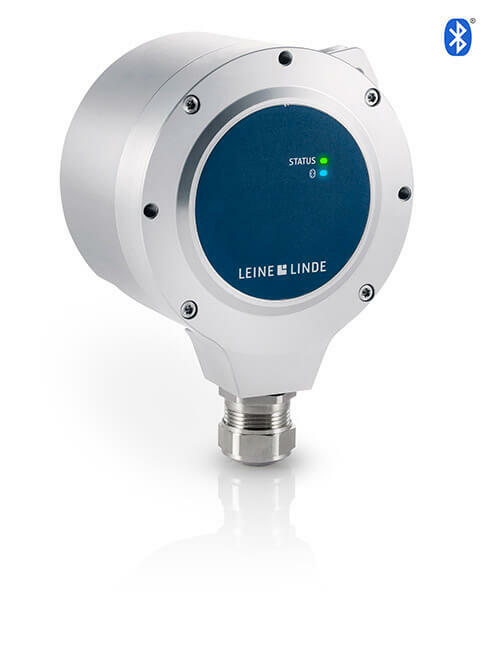 With linear motors there is principally no additional rotary encoder for measuring the speed, and position and velocity are therefore determined through the position encoder. Linear encoders that generate a high-quality position signal with only small interpolation error are therefore essential for the meaningful operation of linear drives. Encoders that use photoelectric scanning such as the LIC 407 linear encoder are particularly suited for this task since very fine graduations can be used as measuring standards by this method. These encoders provide benefits in the positioning, speed stability, and thermal behavior of linear drives, and absolute position value calculation and the associated availability of the position value immediately after encoder switch-on are further positive features. 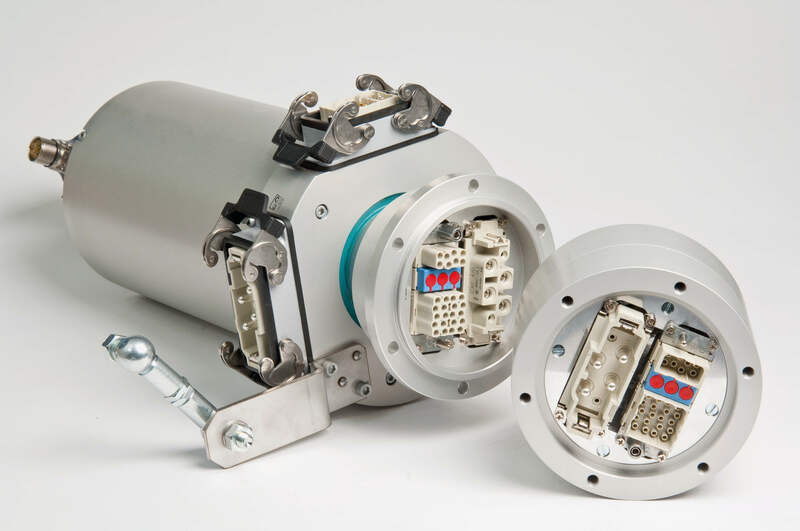 As a consequence, Comau Robotics & Service took the decision for HEIDENHAIN’s LIC 4017 exposed absolute linear encoders, with these being installed on the four linear motors regulating deflection of the laser beam. A resolution of 1 nm and accuracy of up to ±5 μm together with a maximum traversing velocity of 480 m/min provide the laser beam focusing system with the required dynamics and precision. er have the task of guiding the laser beam onto the workpiece in the remaining two axes. The ECA 8412 exposed angle encoder with segmented geometry and absolute position measurement was used as a prototype in this project to achieve overall consistency with EnDat 2.2. For HEIDENHAIN, the project reflects the successful application of a diversity of encoders together with EnDat 2.2. The next step is currently being implemented—the manufacturer from Traunreut in Southern Germany will soon be presenting encoders with functional safety and mechanical error elimination for coupling, products that will also provide the Comau robots with a further development boost.